The more we contemplate the end of life care needs of different countries around the world, the more I become convinced of the need for fresh bold thinking. So it was a pleasure to see the work of the Commission on Residential Care, supported by the admirable Demos group, which reported last autumn on its deliberations. Around the same time, I was pondering some similar issues at a local level, here in Dumfries and Galloway. I was delighted to see in the work of the Commission a number of ideas I had been developing in my own mind and in association with colleagues at universities elsewhere. I shall set out here a combination of thoughts and ideas – very much the start of a conversation about thinking differently when it comes to things like care homes, ‘sheltered housing’, hospices, end of life care, and housing for older people. My thoughts began to focus last year around a purely local issue. 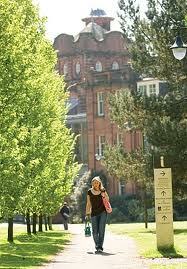 I work at the Crichton Campus in Dumfries. 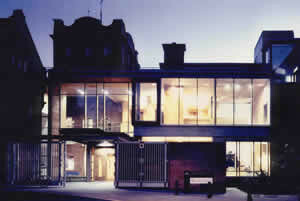 It is a multi-institutional setting where the University of Glasgow’s School of Interdisciplinary Studies and other providers of further and higher education are co-located on the site of a former psychiatric hospital. 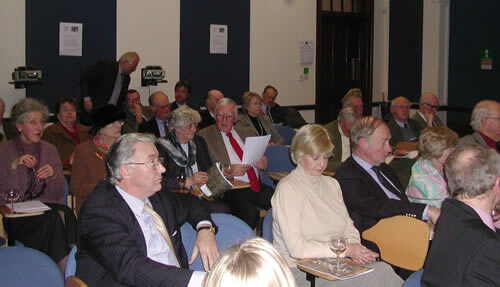 The Campus is the responsiblity of the The Crichton Trust. It is beautiful space, with extensive views out to open, rolling countryside. 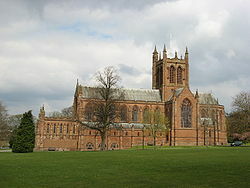 It is about a mile away from Dumfries town centre. It has a cathedral-style non-denominational church which is also used for concerts and graduations, a conference centre and place for balls, shows and entertainments of many kinds. It has a hotel. All set in beautiful and well maintained parklands which are open all year round to the public. Soon it will have a restored squash court and swimming pool to add to the adjacent golf course and playing fields. Just on the edge of the Campus, and towards the town, is the Dumfries and Galloway Royal Infirmary. Opened in the 1970s, it is now being phased out and will be replaced by a new build across town, opening in Spring 2018. As the plans for building the new Dumfries and Galloway Hospital move ahead, there is growing interest in what will happen to the existing hospital site, when most (though not all) medical facilities are relocated elsewhere. I have been thinking about a special vision for the site and one which capitalizes on the proximity of the academic organisations, as well as the growing set of amenities on the Campus. The core of the idea is this. Instead of selling off the hospital estate for private housing development, I have suggested that the existing hospital site could be re-purposed to new ends in ways that meet community needs and create opportunities for mutually beneficial links with the academic offering. It could be a transformational project, not only for the Crichton Campus, but also for Dumfries and the entire region. A first in Scotland. One very much in keeping with the spirit of the times – and the needs of the near future. This idea envisages a community of people accommodated on environmentally sensitive and sustainable lines and where – and this is key – the residents would form part of the life of the wider Crichton Campus, taking advantage of and contributing to the existing and growing amenities that exist there. The housing available would be built to the highest design and environmental standards and developed in consultation with local people. It will also reflect local architectural traditions and heritage – and the beautiful setting in which it will be located. The Commission’s notion of ‘housing with care’ perfectly captures the ethos. The Care Campus would provide for a full spectrum of needs – from completely independent living, through sheltered accommodation, to long-term care facilities. Crucially, this would all be in the same location, thus removing the disconnect between the ‘where’ and ‘what’ of people and their needs. The particular (though not exclusive) focus would be on the needs of older people. Specialist provision offering innovative services and practice would support the goals of community members. Here people would be free to develop their own way of life, in a shared setting, defining their own goals and purposes and living in ways that enhance both autonmy and connectedness. This ‘Crichton Care Campus’ could be modelled in part on the example of the Canadian Schlegel Villages , in which residents are also involved in the co-production of educational and research activities with academic partners. At the University of Waterloo a Research Institute on Aging has been established with direct access to the 13 Schlegel Villages. It provides an organizational structure that facilitates practice-relevant research, research-informed practice, and curriculum development relevant to the care of older people. This arrangement benefits researchers by helping them to develop relevant research programmes and provides access to research and development sites via the Schlegel Villages. It also benefits older people by facilitating immediate translation of research into practice. And it benefits current and future staff working in the Villages, through research-informed professional development programmes and curriculum development for students interested in careers in the care of older people. Using this approach, the Crichton Care Campus could capitalise on local academic expertise in the health care and wellbeing of older people, as well as in dementia and end of life care. 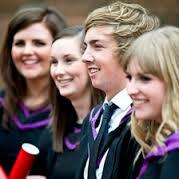 But it could also draw in older people to the academic life and facilities on the Crichton Campus itself – giving access to teaching programmes, promoting University of the Third Age approaches, and also offering the wide-ranging benefits of the location and its very particular amenities and attractions. The opportunities for cross-generational activity through student volunteering, internships and project work would be enormous. It would also create high quality employment for motivated and committed staff. Further advantage would be gained from the plan to maintain certain health care services on the site, most of them of direct relevance to older people – adult mental health, out-patient therapies, ophthalmology, renal dialysis, out-patient diabetic and cardiac care. Central to the idea is to create an innovative approach to later life, which not only meets direct housing, health and social care needs for people in Dumfries and Galloway, but which also contributes to academic activity relating to healthy ageing and end of life care – and creates cross generational synergy, understanding and co-production. The population of Scotland in 2012 was 5.31 million. It is projected to reach around 6.3 million by 2087. Scotland’s population increase will not be spread evenly across all age groups. The number of people in the 75+ age group is predicted to increase most – by 86% between 2012-37. These trends are particularly marked in Dumfries and Galloway. The region has a notably ageing population and people age 65 and over will make up 27% of those living in here by 2020. The number of people in Dumfries and Galloway age 75+ will grow by 77% – from less than 15,000 in 2010 to 26,000 in 2035: real need, requiring imaginative and sustainable solutions. This is an ambitious project that could involve several partners and collaborators. It could bring together Dumfries and Galloway Council, NHS Dumfries and Galloway, private and third sector care providers, architectural companies and many other interested groups. It may require potentially complex and collaborative financial models. But it is worth serious exploration. I believe we have a superb location on which to build the idea of the Crichton Care Campus. There are opportunities to meet needs, to create jobs, to encourage inward investment and to promote research and development. The Crichton Care Campus would be unique in Scotland – a beacon of excellence to guide and inspire others. I trained as medical social worker and am now myself elderly. I am very interested in your project and would like to support it in any way possible. This is an inspirational concept sounds a little like a project that I visited in California. Whilst it is not situated on a Unuversity Campus, the ‘intentional community’ has a range of housing types, community facilities, acute, rehabilitation and long term care facilities all on site. 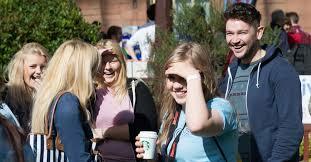 Those who stay there are encouraged to take part in supporting schools, community and University activities. Some provide lectures to students. I can share contact details if you would like to learn more. This comment on the Care Campus came in by email so I thought I would add it in here, DC. I read about your work in the Times Weekend Magazine (Melanie Reid) with joy. My friends and I – all mid- to late-50s have talked about something like this in an ideal world so it’s terrific that it has taken more tangible shape, although I know it is very early days. I live in London but I would like to help in any way I can. Do you have a ‘supporters’ group? Or is there something like this happening in London? Check out this retirement village in Denham near London. The residents formed a choir that reached no.1 in the Amazon singles chart in June 2013 and sang in the House of Lords in October 2013.